A.Y. Jackson travelled extensively and energetically throughout Canada. In the 1940s alone, he painted along the St. Lawrence River in Quebec, sketched near 100 Mile House in British Columbia, and trekked up the Alaska Highway. For this reason it is difficult to identify precisely the location of this landscape, an untitled oil sketch tentatively dated to 1948. 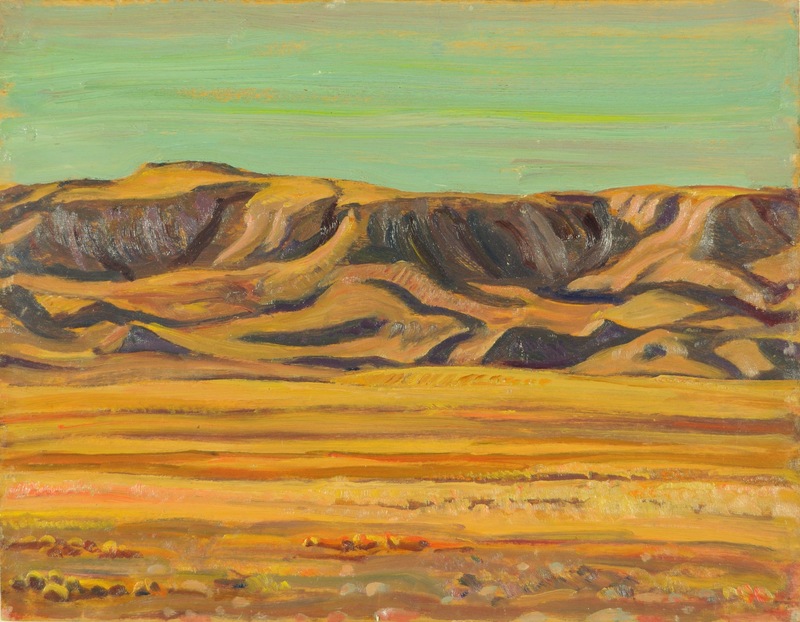 The height of the hills and flat expanse of dry earth suggest it may have emerged from Jackson’s travels in Alberta or along the Alberta-British Columbia border, an area which Jackson depicted in the undated painting Czech Farm, Fernie, B.C., also in the Museum London Collection. 1. quoted in Ross King, “What Tom Thomson Saw,” The Walrus (Nov. 2010), 49.